Madame Tussauds has just opened its door to Singapore last October. I have been to Madame Tussauds Hong Kong a couple of years ago so I feel a dire need to see this one also. 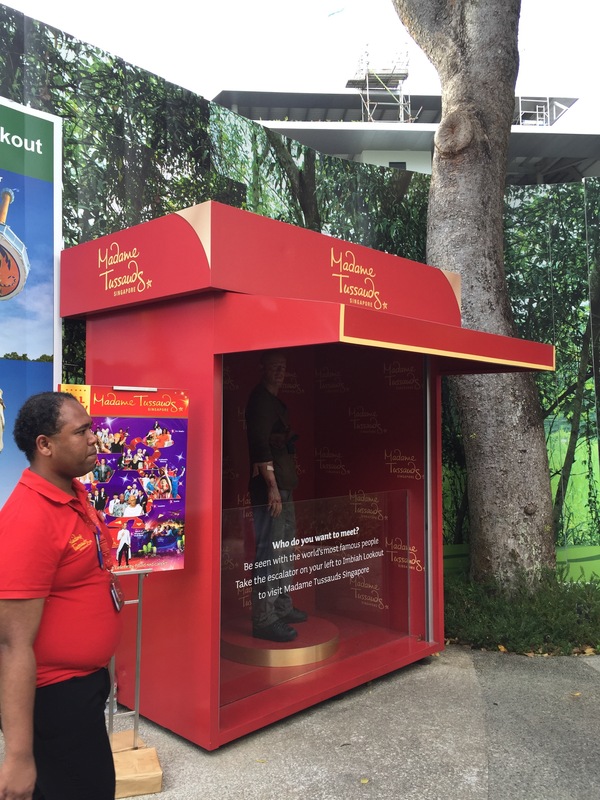 Located at Imbiah station in Resorts World Sentosa, this known attraction is home to famous and well known people in their real-life wax form. Get your camera ready and pose with your favorite personality whether in movie, music, sports, etc. Ticket prices are 30 SGD for adults, 27 SGD for senior citizens, and 20 SGD for children. They are open every Monday to Friday except on public holidays at 10 AM to 7:30 PM and extends to 9 PM on Saturday and Sunday. I got to warn you though that their last admission is at 6 PM on weekdays and 7:30 PM on weekends.